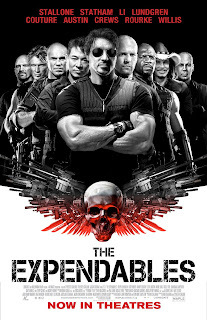 Anyone notice that The Expendables—the shoot-em-up, blow-em-up mercenary bromance starring bad boys Sylvester Stallone, Jason Statham, Dolph Lundgren, Jet Li, Mickey Rourke, Steve Austin and Bruce Willis with a cameo by governator Arnold Schwarzenegger—ends with a poem? You bet. After ousting the military dictator of a small Spanish-speaking island, after bringing the right hand of justice down on the corrupt C.I.A. 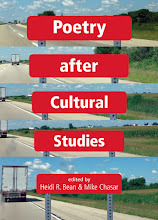 agent funding said dictator's cocaine operation, after the explosions, gunfights, grisly deaths and double-crossings, and after the girl is saved, the guys come back to bond, celebrate each other's awesomeness, and hear some poetry at Rourke's tattoo shop. CCR plays in the background. 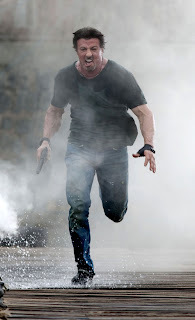 Rourke and Statham start a knife-throwing competition while the other dudes let off steam and work on welcoming formerly double-crossing but now drug-free Lundgren back to the team. Stallone: So you’re back from the dead. How’re ya healin? Lundgren: Good ... considering you coulda killed me. Jet Li: I forgive you. Randy Couture: Hey Gunner [Lundgren]. Whatever doesn’t kill ya makes ya stronger, brother. Therapy! Stallone: Man’s got a point. Statham: But to think he could beat me? Cool Tool, you gotta be a fool! Turning for a moment from knife slinging to word slinging, Statham (never one to shy away from cinematic wordplay) isn't just fooling around; in getting the movie's last words, he actually delivers an interesting little limerick-and-a-half-long poem that gives us a little lesson in what manhood's all about. Gesturing to a recognizable and democratically available verse form (the limerick), yet improvising on that form so that the final poem tests the limits of what it's allowed to do (it's two lines too long), Statham's longer-than-average limerick demonstrates how real men become men and not just meatheads. 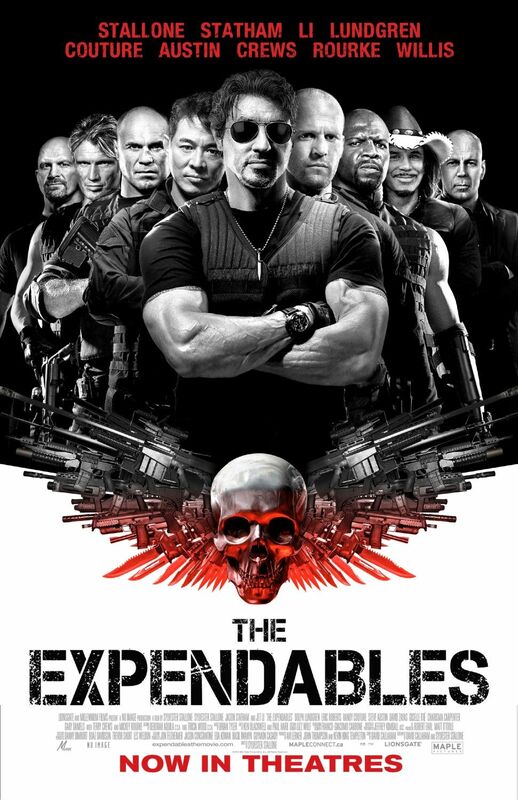 Like the poem, every one of the beefcakes in The Expendables follows a specific recipe for masculine success—they're good with a knife and bad with a wife, as the poem says—while at the same time personalizing that model so that they aren't entirely following someone else's idea of manhood. 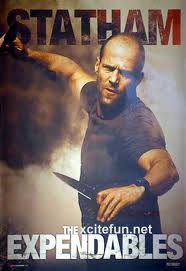 That is, the formal drama of Statham's poem argues that, to be a real man, it's not enough to be big and strong. You've also got to have some style in how you fight, how you flex your muscles, how you throw your knives—or how you rhyme. Without any of that, you're just somebody's bodyguard.